In the year after the country’s overwhelming victory in the Philippines v. China arbitration, we have witnessed an acute and dramatic reversal in foreign policy that relieved mounting geopolitical tensions and created peace in the shadow of submission. PRRD’s (President Rodrigo R. Duterte) soft landing and active engagement with China has borne visible fruits: the resumption of Philippine fishing, though partial and limited to the fringes, around Bajo de Masinloc (Scarborough Shoal); the opening of a communication hotline and officer exchange between the Philippine and Chinese Coast Guards under a Memorandum of Agreement, the easing of Chinese harassment activities against Philippine vessels venturing into the West Philippine Sea, and the establishment of a bilateral consultative mechanism on maritime issues that form the means for formal and informal discussions of the disputes. These are tangible improvements over the veritable cold war between the Philippines and China under the Aquino Administration. From a regional perspective, observers have viewed PRRD’s actions as shrewd and game-changing moves that upended the regional geopolitical balance formerly dominated by the US (itself unfortunately thrown into uncertainty under President Donald Trump). 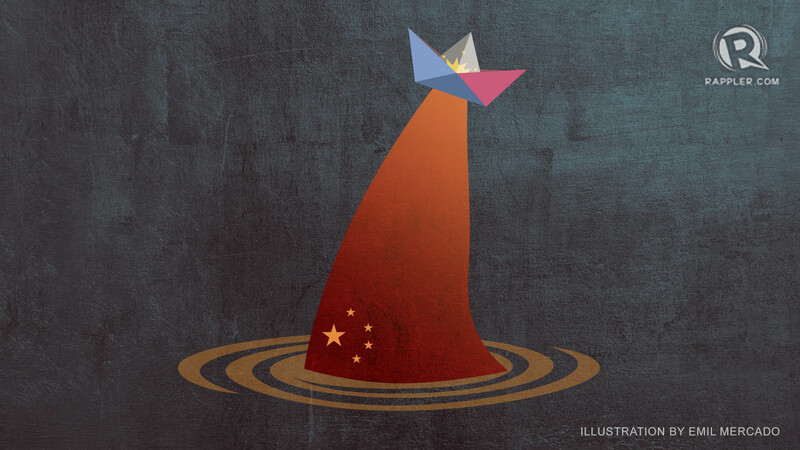 PRRD’s seeding and cultivation of economic and military ties with the competing major powers China and Russia are seen as calculated actions to counter historically ingrained ties with the West and move the Philippines toward non-alignment. PRRD’s fiery rhetoric against the Philippines’ longtime security and development partners like the US, Australia, and EU have been enough to cast doubt on Philippine intentions. This is what allow to PRRD to leverage against one against the other, and provides them with incentives to offer concessions. Some have likened the Philippines’ position to a maiden with many suitors seeking to curry favor, and equate this with an “independent foreign policy” unlike any other in its history as an independent State. By doing so, PRRD has also relieved ASEAN of pressure to unify its position on the maritime disputes that all too frequently rock its central core and turn its attention fully to less controversial regional economic integration. But while PRRD’s tactics seem to make sense, one must not lose sight of the Philippines’ strategic and permanent maritime interest: the need to ensure that its exclusive sovereign rights to maritime resources in the West Philippine Sea, which pertain to it as a matter of law, are not surrendered in the face of naked power. Peaceful relations and resolution of disputes based on justice and fairness are far more resilient and stable than if they were simply imposed by sheer power in whatever form. Beneath the calm that has settled in the past 12 months, China’s expansion and activities into the West Philippine Sea has continued unabated. Its fishing vessels, painted in the now familiar blue and white scheme of its maritime militia, regularly operate fish inside the Philippine EEZ in and around the Kalayaan Islands and Scarborough Shoal. These operations continue to include destructive practices to extract giant claims and corals, destroying the precious marine habitats necessary for the regeneration of fish stocks upon which thousands depend for livelihood and subsistence, as well as the targeting of endangered species like marine turtles and sharks to supply consumers in the mainland. Philippine fishing vessels, in contrast, find themselves reduced to furtively fishing when the CCG isn’t looking, or being forced to “share” their catch, lest they be shooed away from their former fishing grounds. Some have even been threatened and shot at, especially in areas near China’s artificial islands in the Union Banks. China’s maritime forces, both military and civilian, similarly dominate the West Philippine Sea, their continuous presence supported by the artificial islands hastily built to pre-empt the arbitral award. Together with the blue maritime militia, the PLA Navy’s grey and CCG’s white ships color the seascape, playing cat-and-mouse or chicken games with US, Japanese, Indian and other naval powers. Sometimes, they freely do so just outside the 12nm from the Philippine coast; one PLA Navy vessel shadowed a US research vessel and seized its underwater drone off Zambales last year. Another was seen apparently shadowing another US vessel into the waters off Mindoro. CCG vessels constantly challenge Philippine Navy and CG patrols approaching Bajo de Masinloc and the Kalayaan Islands to demonstrate their superior authority, and reportedly still occasionally harass them with dangerous maneuvers that have already been declared as contrary to accepted maritime law and practices. It is not only in the sea; China’s assertions continue to take to the air, with regular warnings and veiled threats issued to PAF aircraft conducting patrols or resupplying Philippine positions anywhere near the Chinese artificial islands. PAF airmen in Kalayaan Islands airspace can only respond with curt denials of Chinese demands to “go away,” keenly aware that their unarmed cargo planes are no match for Chinese positions already armed with short-range anti-aircraft cannons soon to be upgraded with surface-to-air missiles systems. Should China move fighter aircraft into its three new airstrips on Fiery Cross, Subi, and Mischief Reef, they would also have to contend with the possibility of “hot-dogging” and over-confident Chinese pilots performing dangerous maneuvers during aerial intercepts, as frequently encountered elsewhere by US aircraft. PAF pilots flying over Scarborough Shoal, on the other hand, have to keep their eyes out for the Chinese combat air patrols that regularly orbit the shoal; the danger was demonstrated early this year when a Chinese plane had an “unintended encounter” (a euphemism for near collision) with a US aircraft. In addition to paramilitary, military, and law enforcement ships, China has also deployed a new instrument of maritime power in the form of large, new and modern marine scientific research (MSR) vessels carrying out all kinds of scientific projects. Several of China’s newest MSR vessels have been officially announced or were actually spotted conducting research around and through the Kalayaan Islands, around Reed Bank, west of Scarborough Shoal, or along the coasts of Palawan, Mindoro and Luzon. These research activities all have potential resource implications, but are being conducted within the West Philippine Sea in the face of Philippine disapproval. In contrast, Philippine resource survey activities have practically stopped. Petroleum survey and development activities are all on hold under a moratorium pending discussions of joint development options. The appointment of former Speaker Jose de Venecia Jr, the original promoter of the ill-fated Trilateral Joint Marine Seismic Undertaking between the Philippines, China and Vietnam, as a special envoy raised eyebrows as it seemed to signal a revival of that problematic project that allowed China and Vietnam to explore the uncontested Philippine continental shelf, but not the other way around. This has been exacerbated by PRRD’s view that China would go to war if the Philippines were to start exploiting its own petroleum resources in the West Philippine Sea. The intense research activity already spills over into the eastern flank of the Philippines, as confirmed by reported Chinese surveys within the EEZ east of Cagayan, Bicol, Samar, and Surigao. Chinese researchers even published locations of instrument platforms anchored within the EEZ off Surigao and Cagayan. These prompted concerns over Benham (now Philippine) Rise, and led the Philippines to mount its own MSR cruises this summer in order to show the flag. When seen in the context of China’s overwhelming presence in the West Philippine Sea and increasing activities on its Pacific seaboard, all these paint a dismaying picture. Although PRRD insists that he will raise the arbitral tribunal award “later in his term”, it is clear that at present China is not restraining its maritime reach and has fully deployed them into Philippine waters. It is actually appropriating these waters and their resources, in addition to flexing its jurisdictional muscles at a scale never before seen. The Philippines can only respond with muted protests through its bilateral consultative mechanism. Some react to this situation with fatalism, arguing that anyway there is nothing that can be done to oppose Chinese expansion. It also does not bode well that the government’s infrastructure policy has turned away from public-private partnerships that would have placed infrastructure development firmly under joint control of the Philippine public and private sector, and gone back to government-to-government arrangements that may effectively turn over control and influence to foreign government partners. Here then is the problem with PRRD’s foreign policy with China. Despite its apparent benefits, it has not generated any assurance that China will not impose itself and its pre-emptive claim over waters and resources that legally pertain to the Philippines. It has effectively submitted to Chinese expansion into the West Philippine Sea, to the point that Filipinos are now slowly being elbowed out of their legal rights and prerogatives in their own waters. It has chosen to accept the promises of future Chinese largesse, not minding the inevitable constraints it will certainly place on future decisions and policies of government. While improved bilateral relations with China, now presented as a new “golden age” have indeed come with tangible benefits in the form infrastructure, finance, and armaments, it is not difficult to see that the Philippines has in turn incurred intangible costs. Thus, in the days ahead, the administration will always tread dangerous waters insofar as the West Philippine Sea is concerned. One hopes that, “later in his term,” PRRD would actually still have anything useful to discuss with China. A delayed dialogue presumes that both parties maintain the status quo and will still be able to compromise and give concessions. Government agencies tasked with the nation’s maritime security are already hard-pressed to maintain whatever autonomy of decision and action remains in face of China’s advance. From the situation at sea, the Philippines has conceded most of what matters in the West Philippine Sea, save for the literal “4 corners of that piece of paper.” But then, that is likewise completely in line with the politics of Dutertismo: never mind the facts, just keep up the rhetoric. Dr Jay L. Batongbacal is an associate professor of the University of the Philippines (UP) College of Law, and director of the UP Institute for Maritime Affairs and Law of the Sea. The views reflected in this article are purely personal and do not necessarily reflect the views of either the Institute or UP.